Another momin Syed Ali Abbas Abidi aged 58 years was targetted in the megapolis of Karachi as yazidi terrorists opened fire on him near the water pump area in the troubled district central . 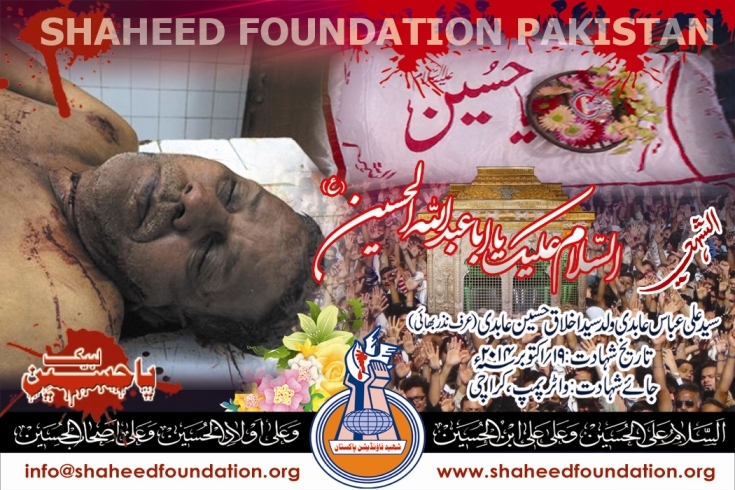 Shaheed's body was shifted to Ancholi Block 20 imambargah earlier where his namaz-e-janaza was scheduled today shortly after zohrain prayers . Burial is to take place at Wadi-e-Hussain [AS] graveyard . Please turn up in huge numbers . 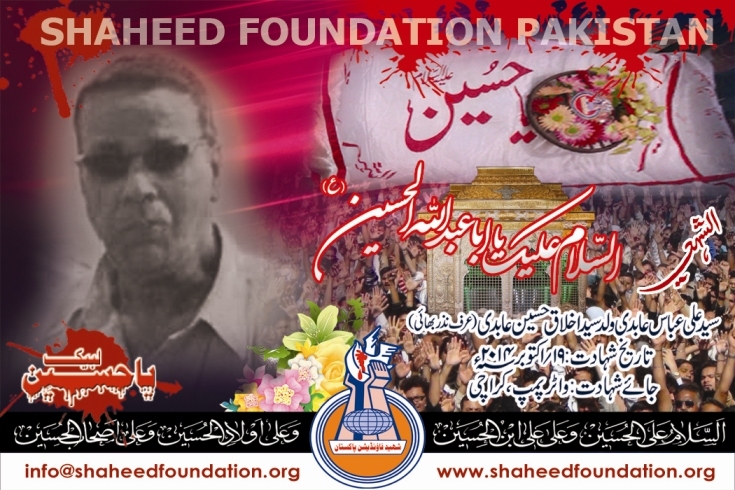 Please recite a fateha for Shaheed Ali Abbas and Shohada-e-Millat-e-Jaffaria Pakistan.